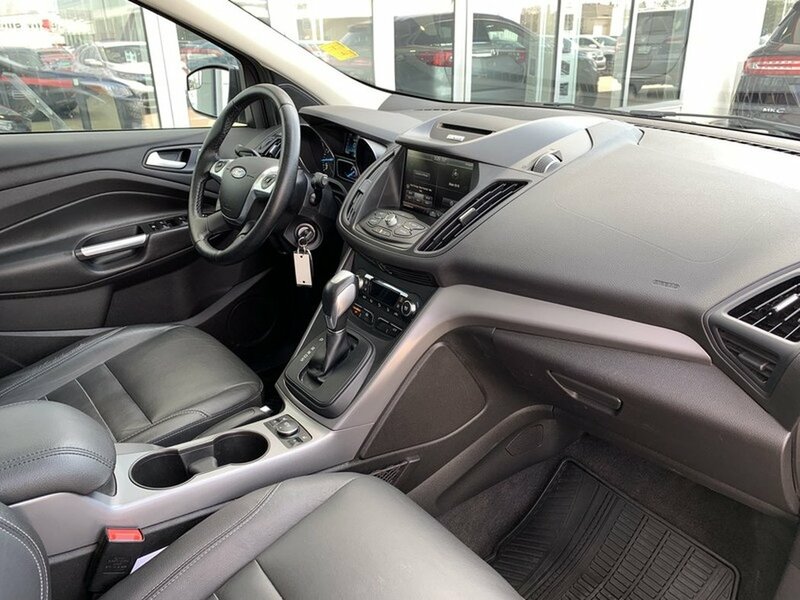 2015 Ford Escape SE 2.0L AWD- Navigation, Moonroof, Leather! 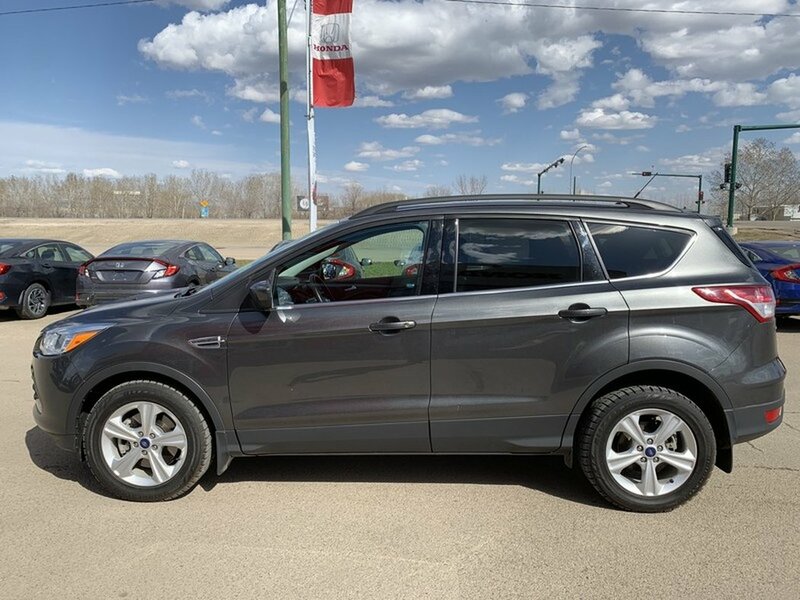 This local 2015 Ford Escape SE 4WD has been well taken care of. 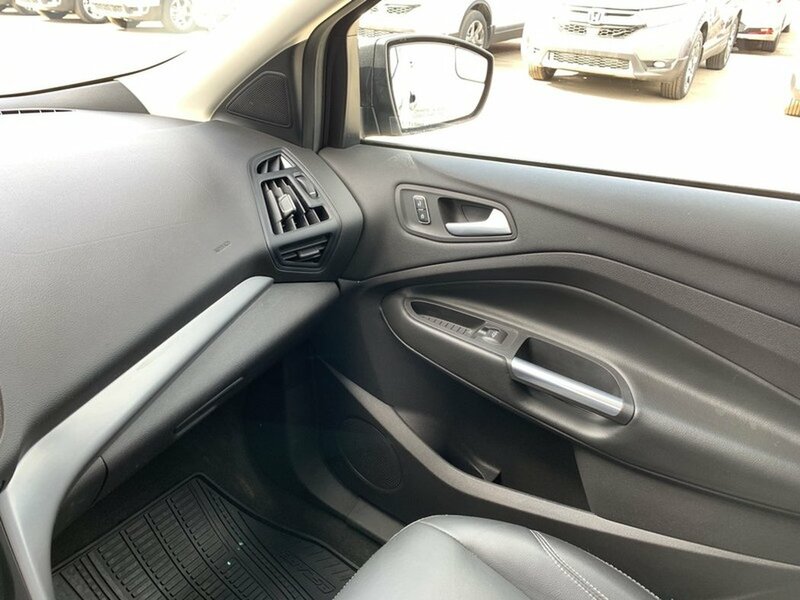 The “Magnetic Metallic” exterior is in excellent condition. 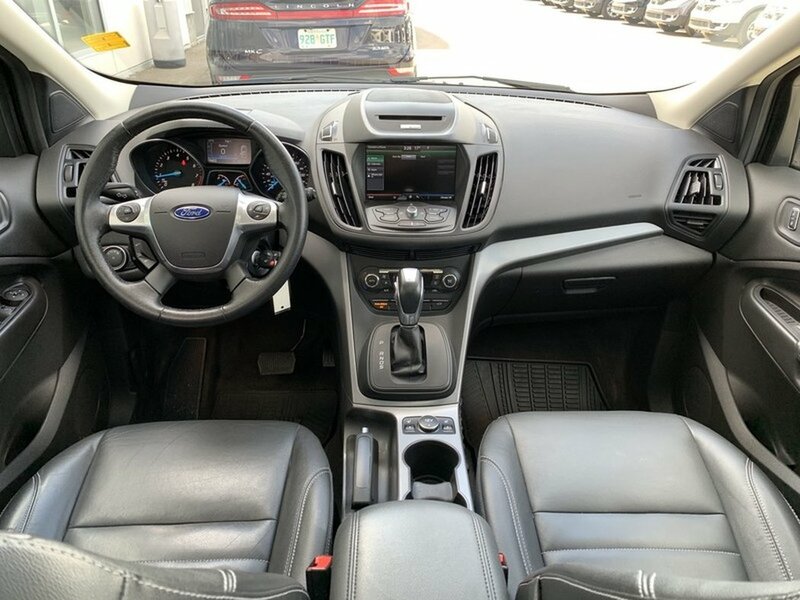 Paired with a black leather interior. 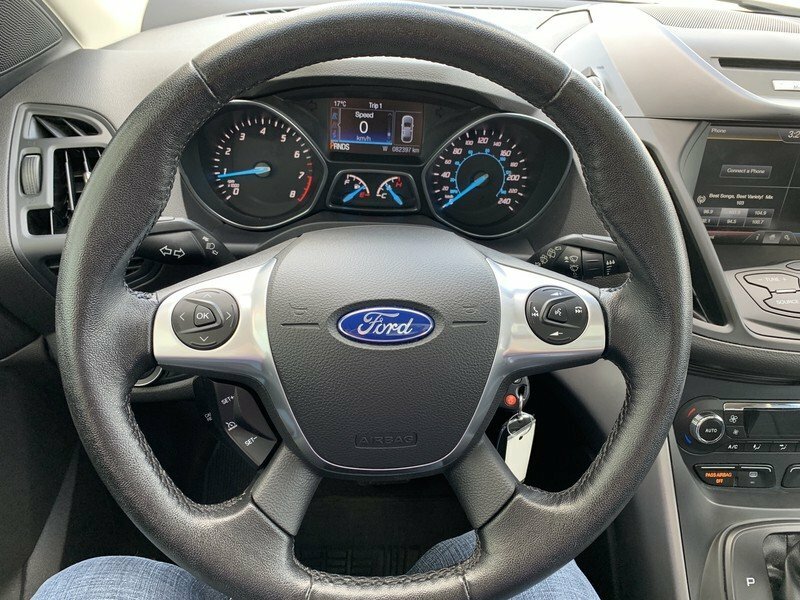 The 2.0L Ecoboost 4-cylinder engine has loads of power to get the job done and still gets you a respectable 8.4L/100KM on the highway. 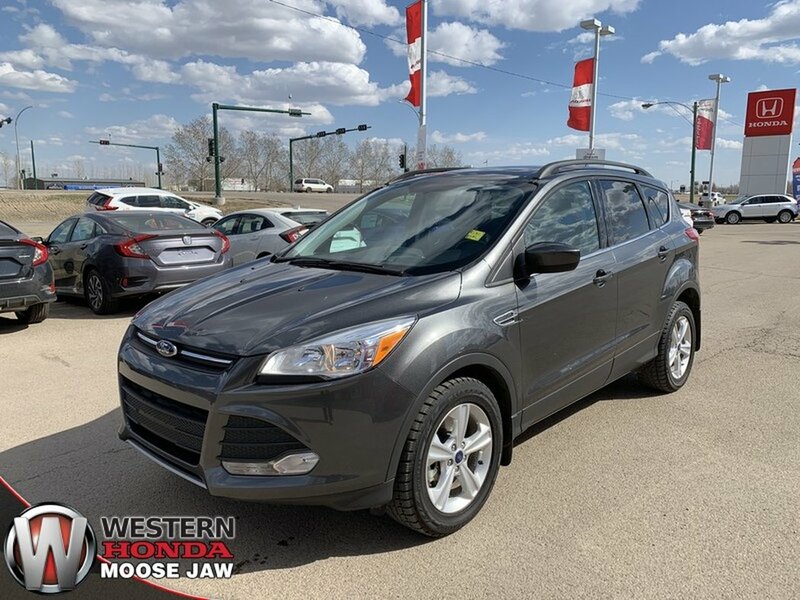 This model as equipped is full of luxurious features to make you feel like you are driving something twice its value! 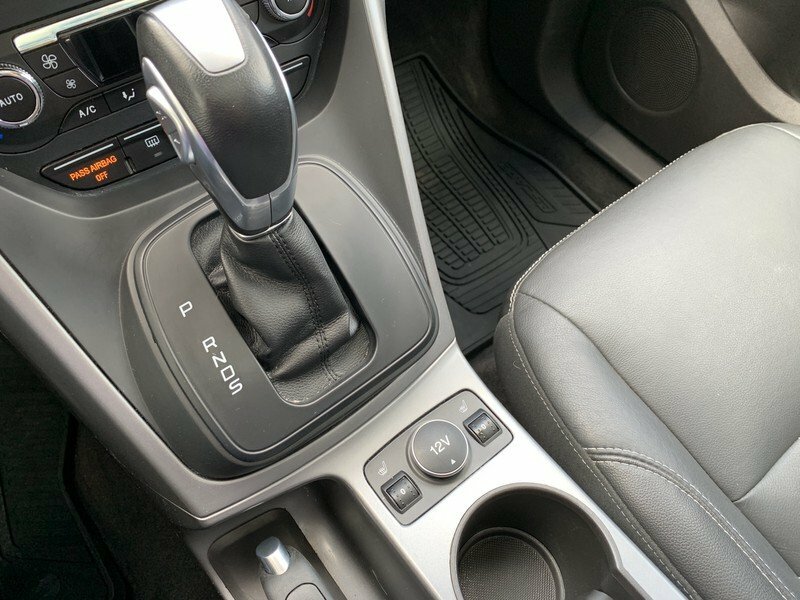 Some of those features are; chrome exhaust tips and accents, rear spoiler and fog lamps that add to the sporty feel. 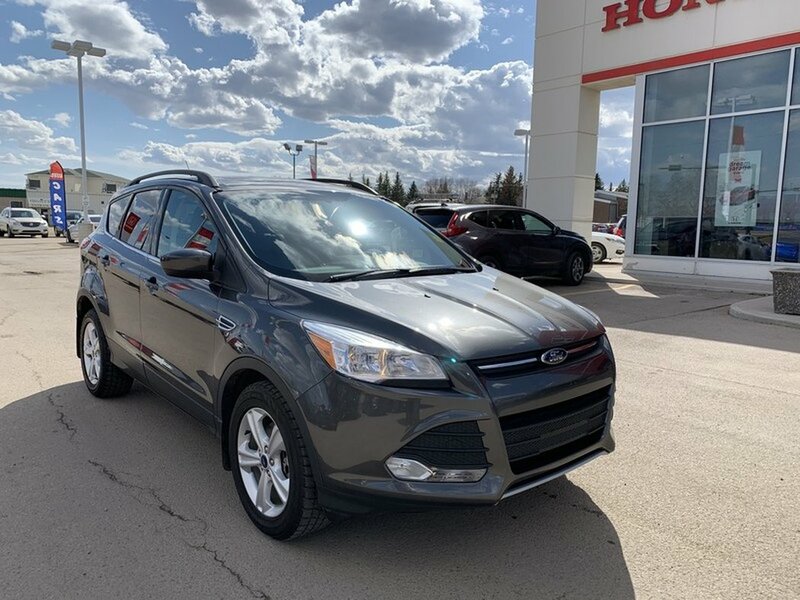 The Escape is environmentally-friendly, using recycled and earth-friendly materials on its interior while still having a luxuriously modern feel. 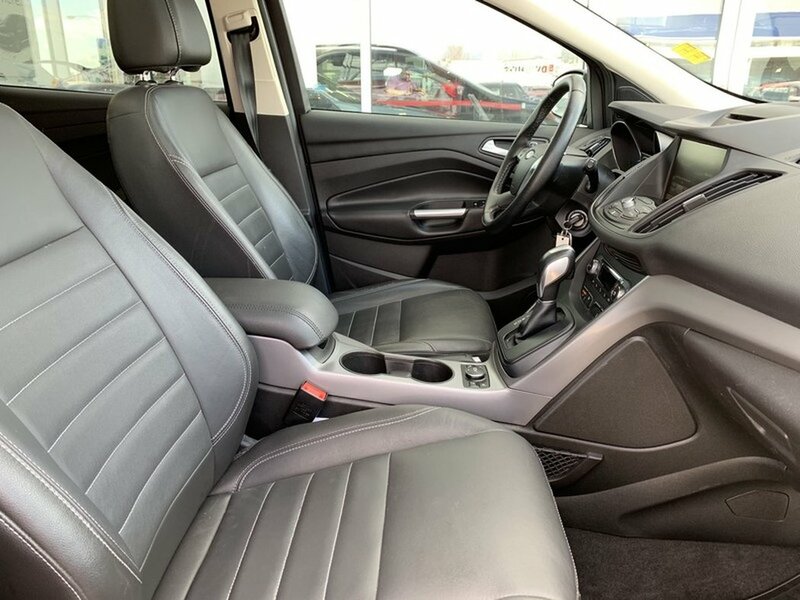 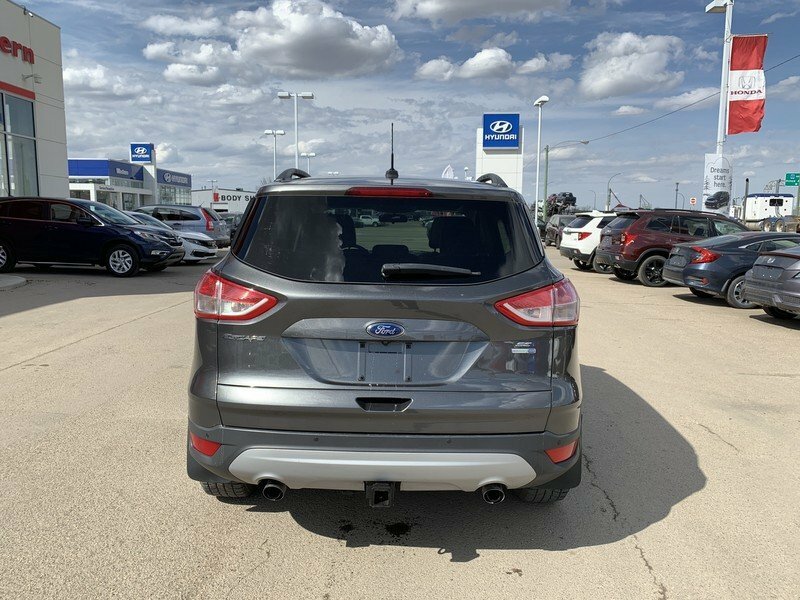 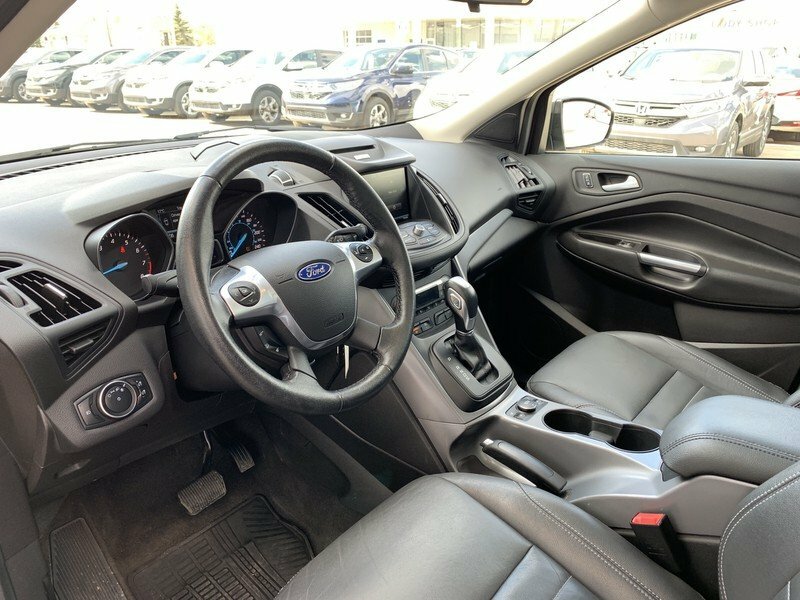 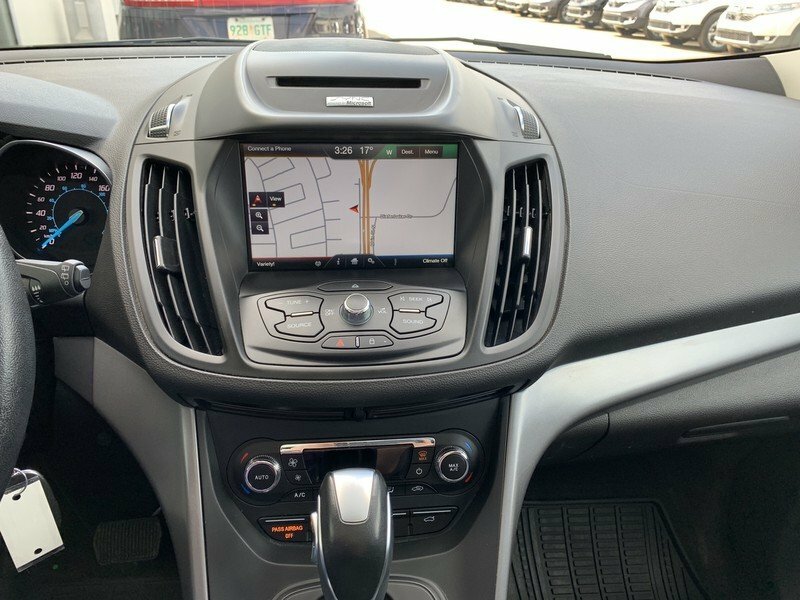 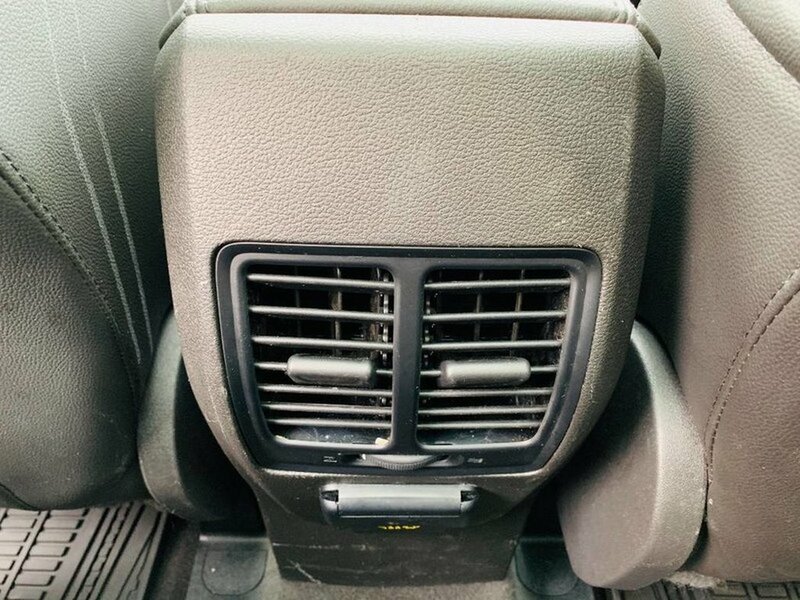 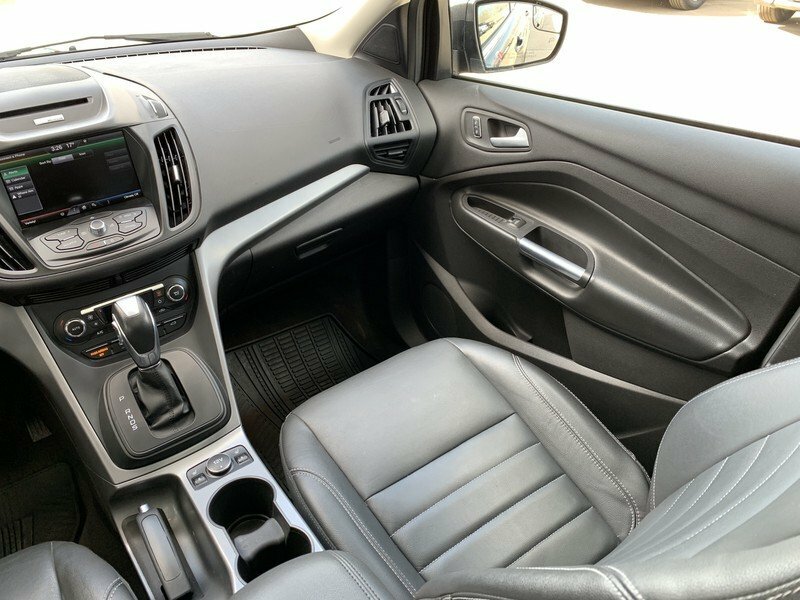 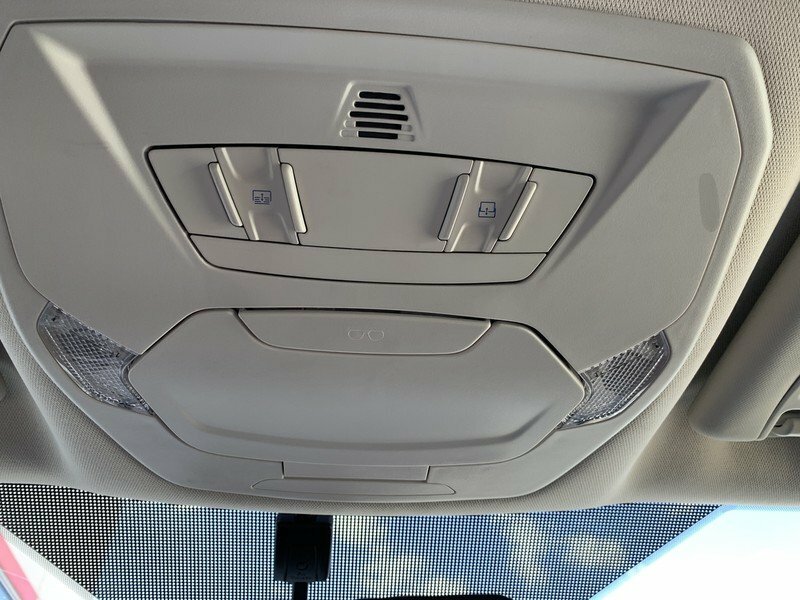 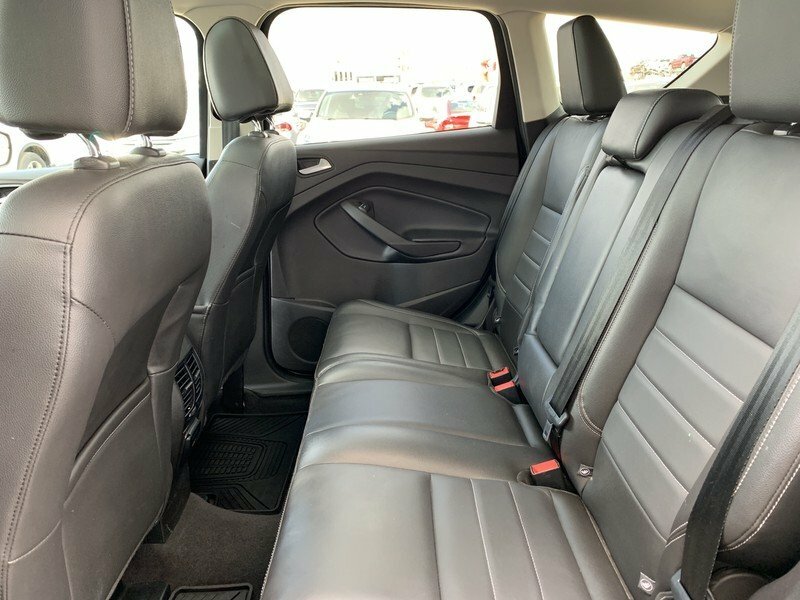 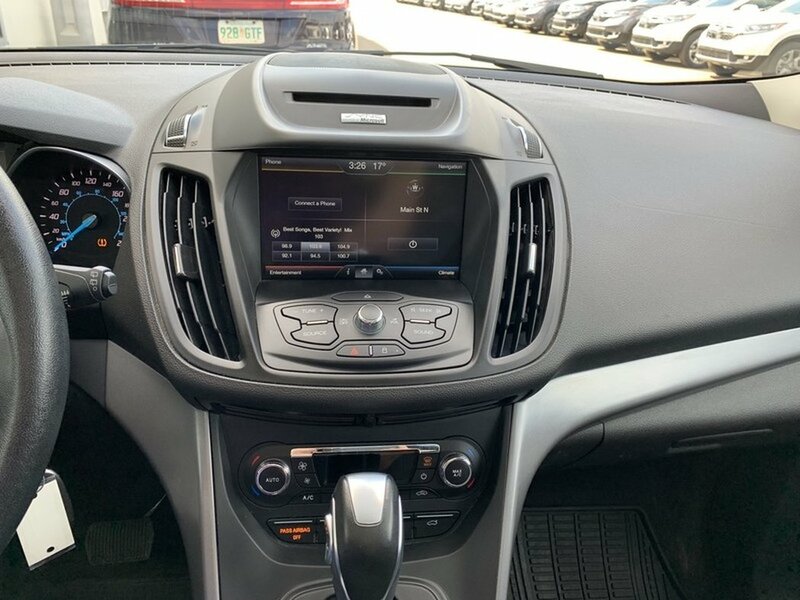 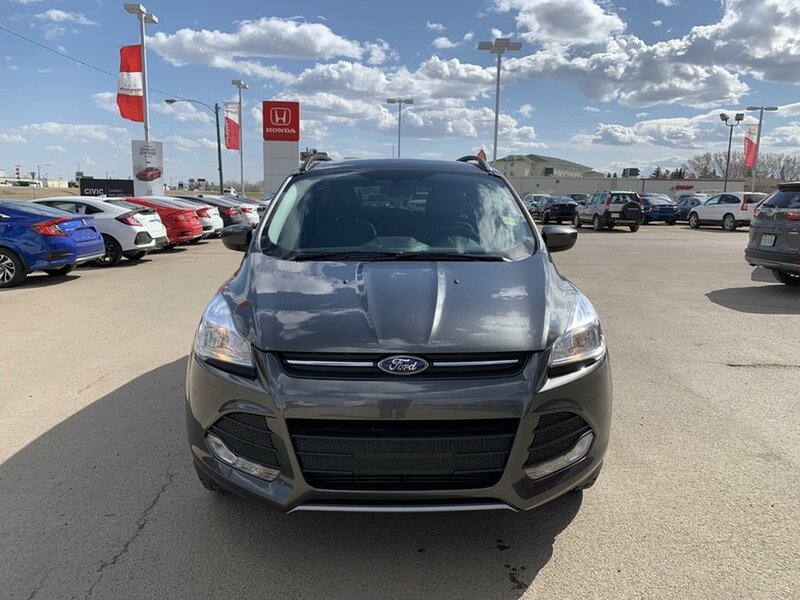 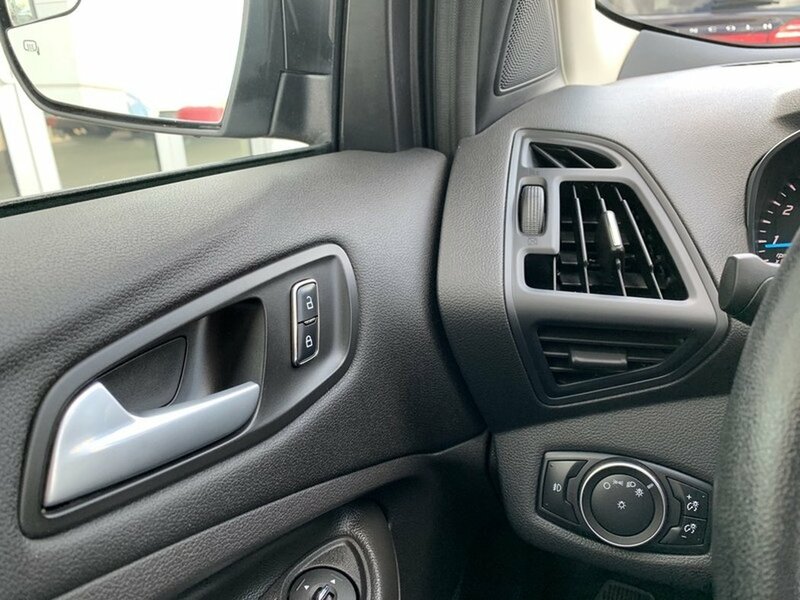 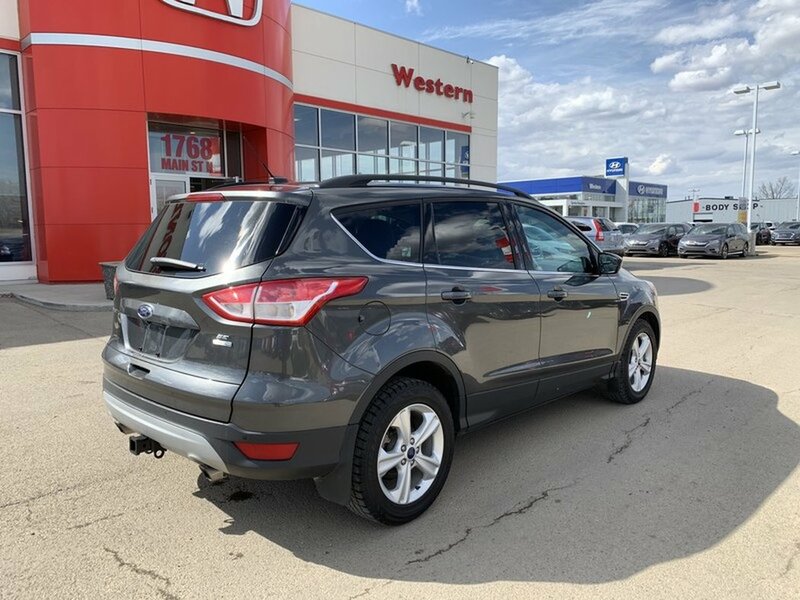 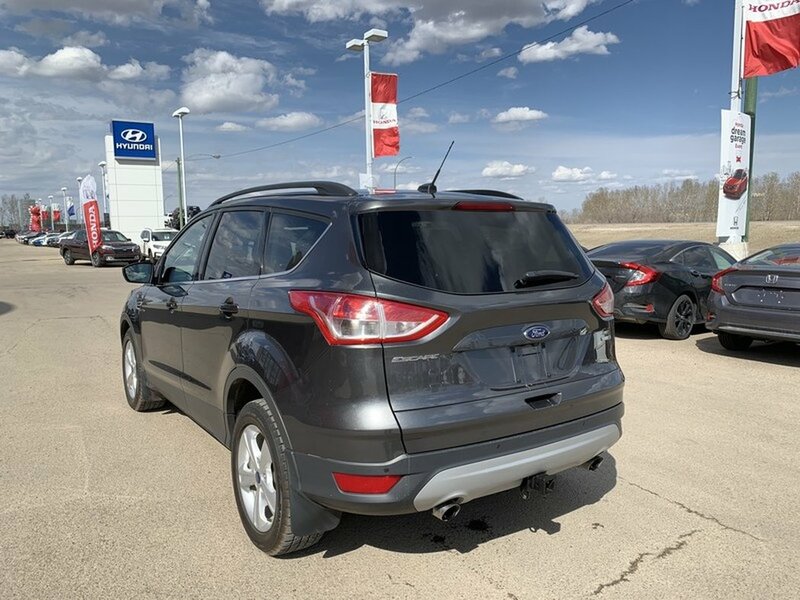 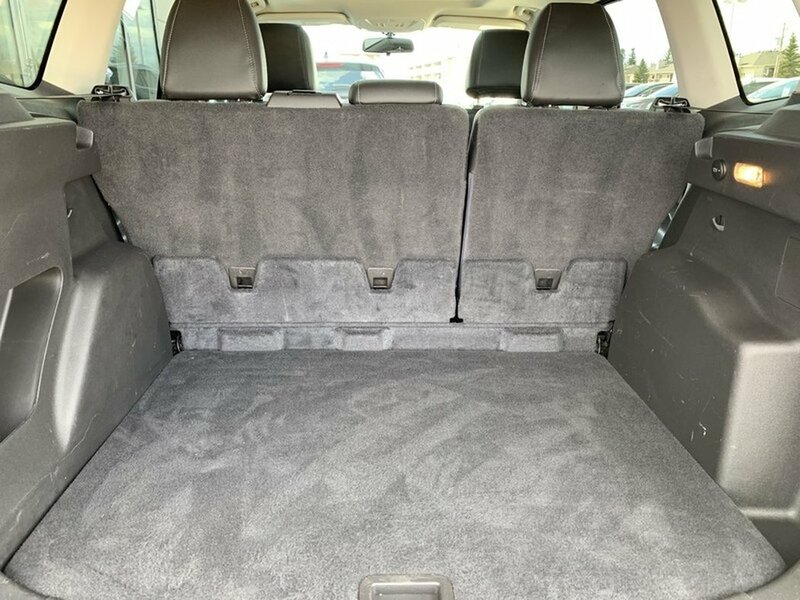 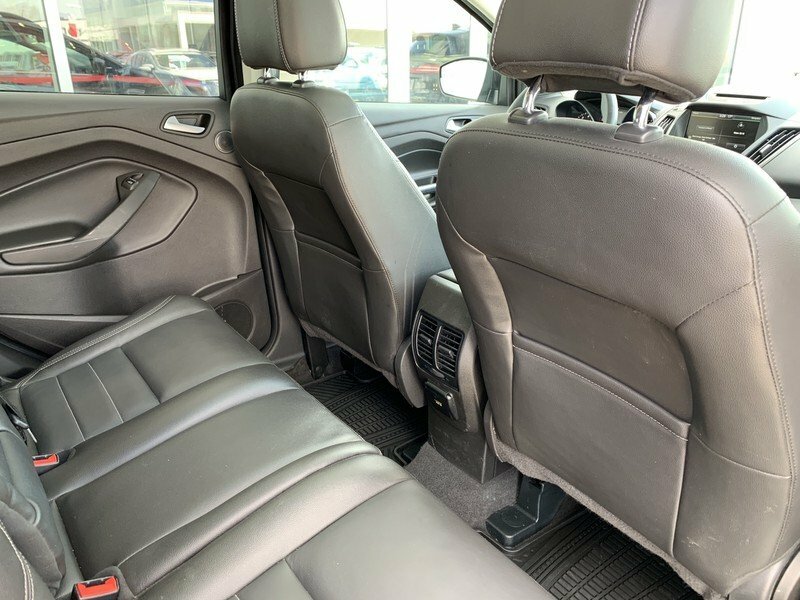 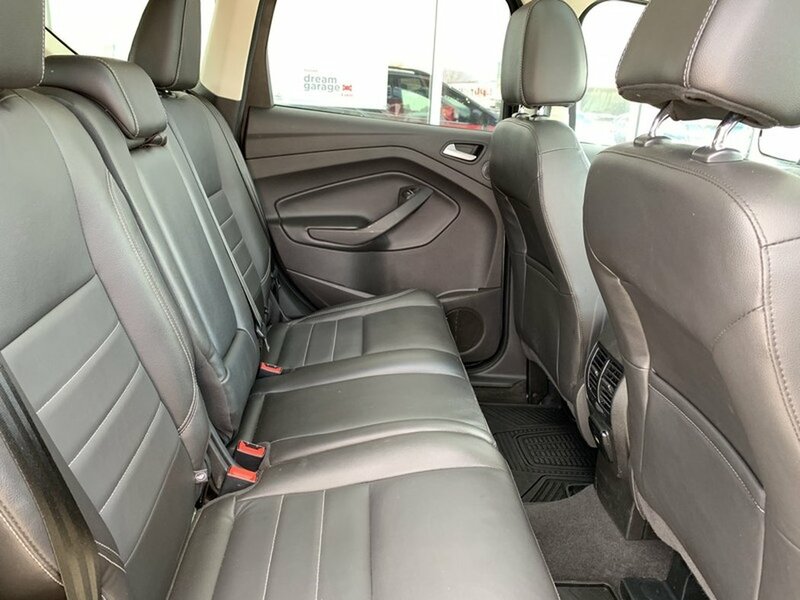 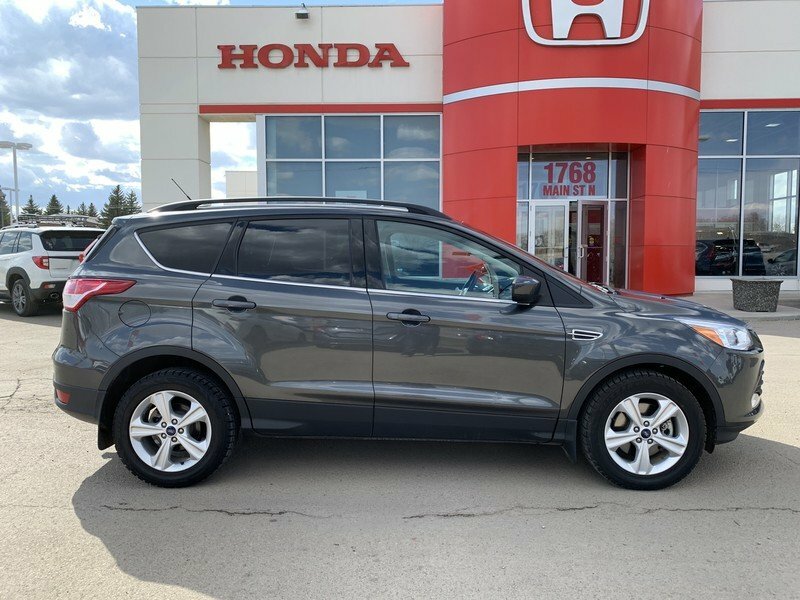 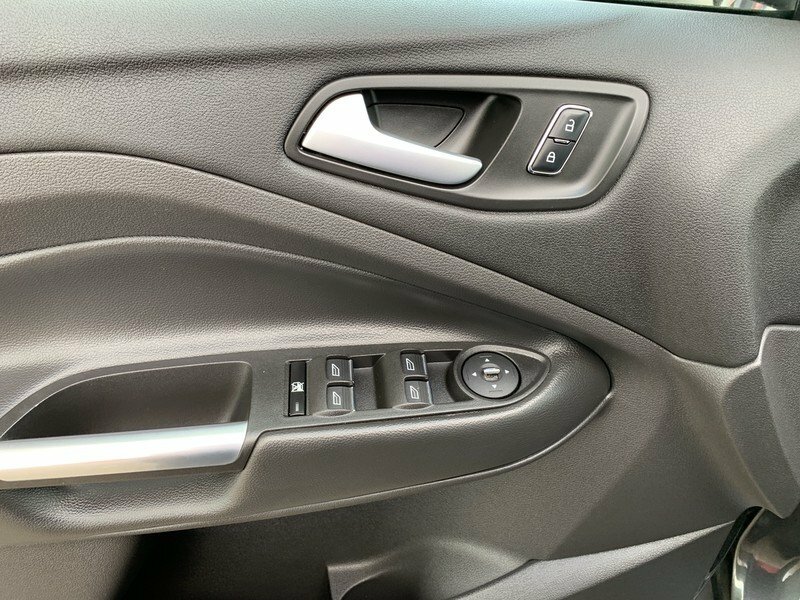 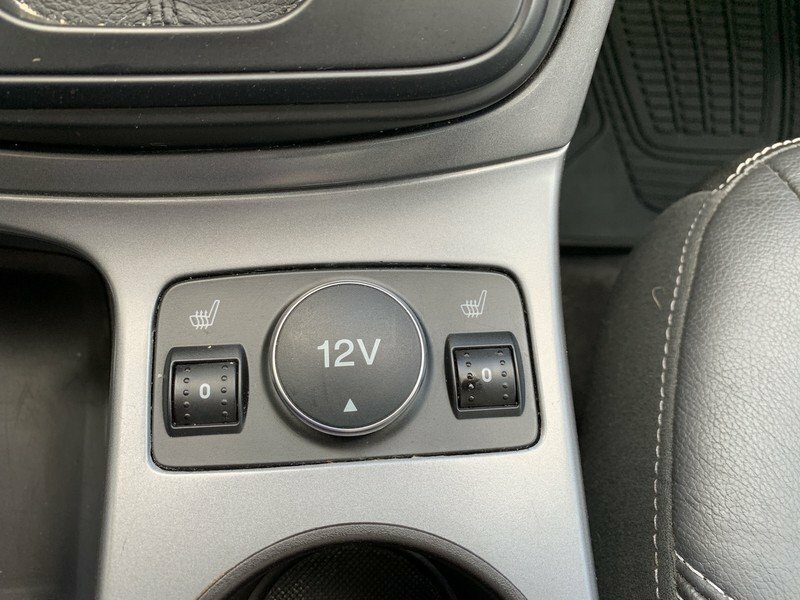 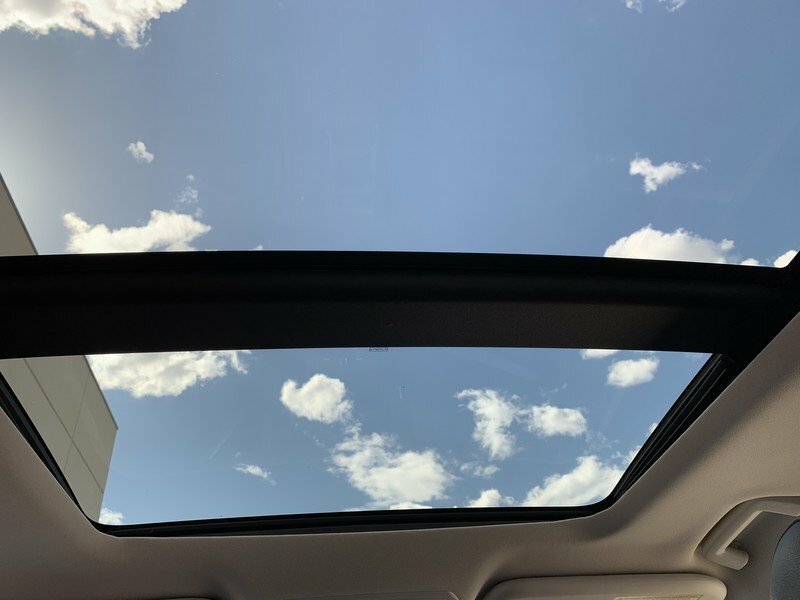 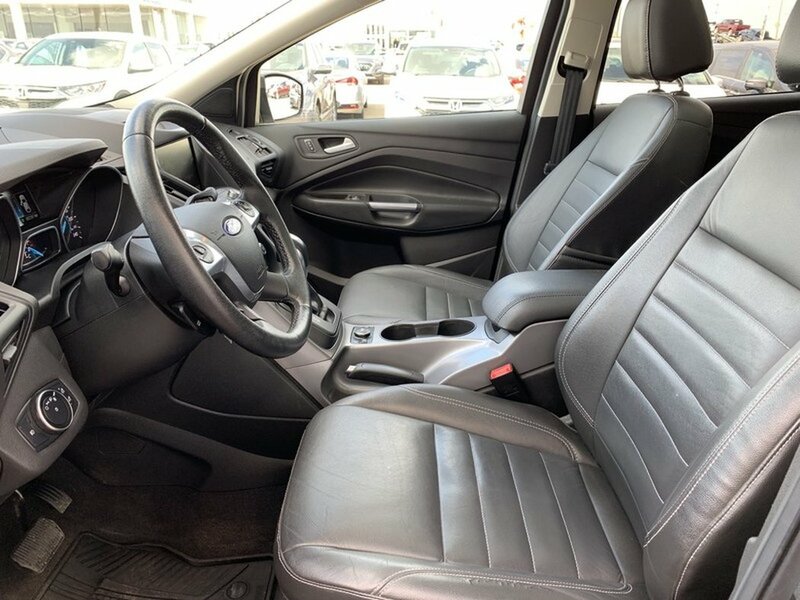 Enjoy a dual-pane moonroof, navigation, backup camera with rear parking sensors, voice-activated MyFord Sync w/ RCA inputs for gaming systems, ambient lighting, a leather wrapped steering wheel and shift knob. 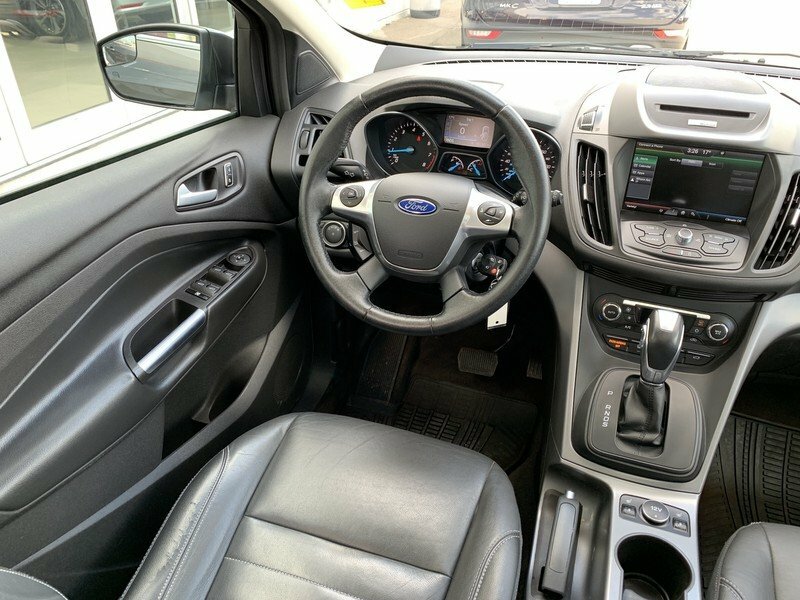 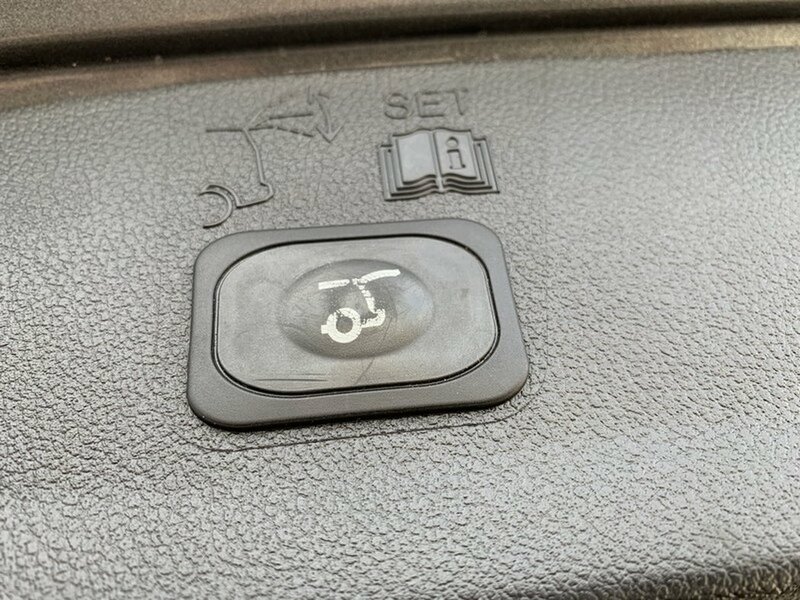 The heated leather seats and unique accents make you feel like a rock-star and passengers will have plenty of room to relax and ride in comfort while plugging in their devices to their own power points.